When I was a child I lived in St. Joseph, Michigan. 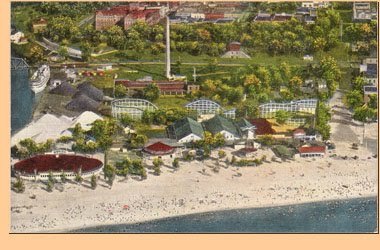 At that time Silver Beach Amusement Park was a big attraction to the area. Built in 1891, it remained open until 1971. I was nine years old when the doors closed and I still have some vivid memories of the park. 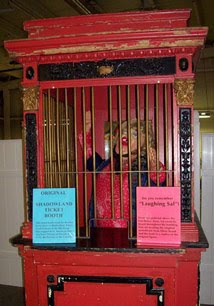 It held an amazing ferris wheel, the mystical (to me) Shadowland Ballroom and various attractions. I was not allowed to go on most of the rides because they were very old at the time and there was some concern about safety. 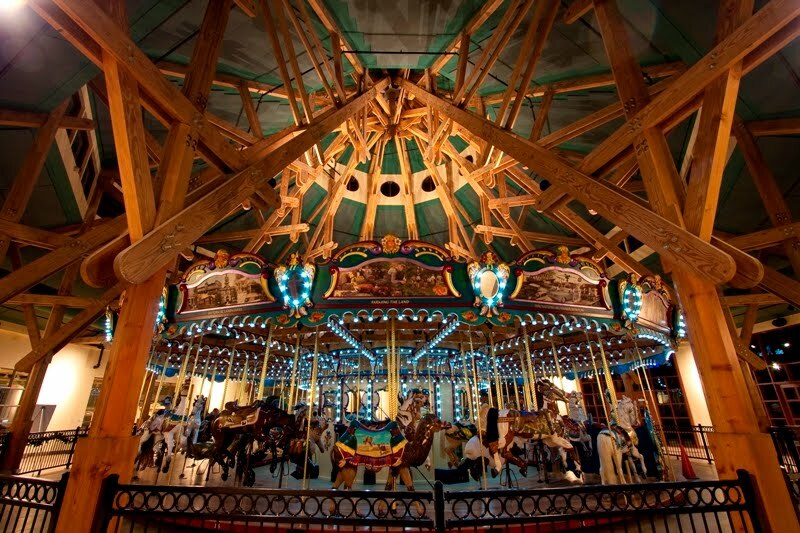 Recently the famous carousel has been returned to Silver Beach. It is an exact replica of the one that once graced the park. I have seen it once in the building process. Quite an achievement for the city and one that means a lot to many people. 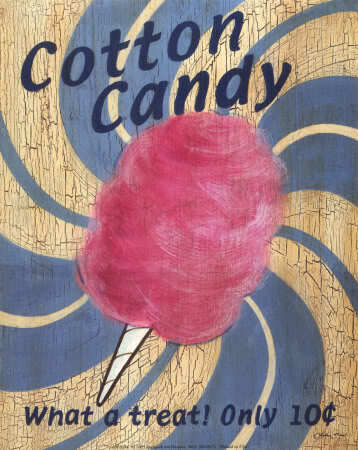 When I think about Silver Beach I remember cotton candy, ice-cream, and how I always wanted a balloon. I recall those creepy attractions like the fortune teller, the fun house with the weird mirrors as well as the sound of the wooden rides creaking. I still recall the smells; tobacco, popcorn, hot dogs and ruffle cut french fries. I remember thinking that it was a scary place at night with all the crazy lights and the sound of the water hitting the shoreline. But, oh, how I wish I could be there one more time. To really look at it again and to ride all those rides. It is something, I'm sure, I will never quite experience again. It was fun reading about your Silver Beach. Your sentiments are like many of mine. Where I grew up in Long Beach, Ca., there was a place called the pike on the ocean much like you described. It is also a thing of the past, but you revived many memories for me. Thank you for the memories. I only remember being there once, especially those crazy mirrors. I remember having to stay home when my Aunt took the older siblings as I was too little to ride most of the rides. But most of all I remember the old rollercoaster still standing there long after the park had closed. I would be so fun to revisit the past and experience it once more! Looked like a cool place! Where I grew up we had to drive a couple of hours, the closest being Santa Cruz I think that it's much like what you described it's right on the beach. I did spend every summer as a child at our county fair, oh the memories and the smells of yummy food! Sounds/looks like a wonderful place. Memories are the best like this. I love the old signage! Very cool! What a cool place! It is fun you could share those memories with us! i love all the pictures...I bet those pictures make you miss it even more! Love the pictures. Sad when places like that close. We have an amusement park in our area Lake Winnepahsaukah. Or Lake Winnie. 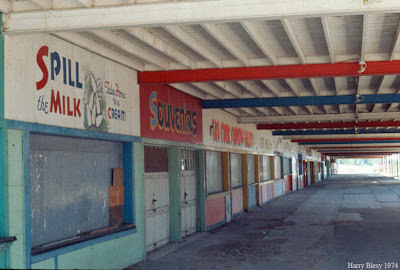 My parents had one of their first dates there. It closed several years ago for a short time, but is open every summer now. We loved it when we were kids on kiddie day and could ride everything for .10 each. Those days are long gone but lots of fun memories still being made there. I found your blog a few minutes ago and so many things jumped out at me. I was at Silver Beach this past weekend. It is one of my favorite beaches. 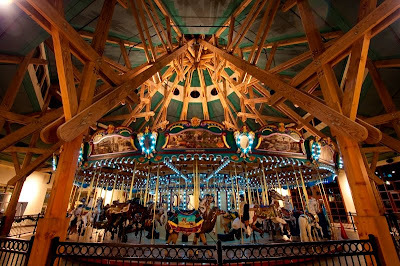 We were looking at all the old photos, however we did not ride the new carousel. I was too little to ride most of the rides. But most of all I remember the old rollercoaster still standing there long after the park had closed. 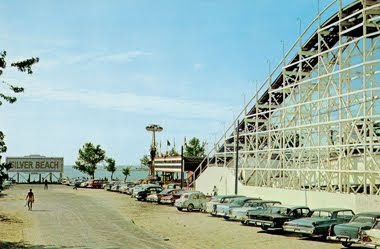 I can't wait to see the new Carousal at Silver Beach! I remember the house of mirrors and the rickety roller coaster. My grandma would often take us kids there. What a wonderful place to grow up and special memories. I'll be home over the 4th for our 30th class reunion - and we thought Silver Beach was old! Thanks for sharing the memories Renee.